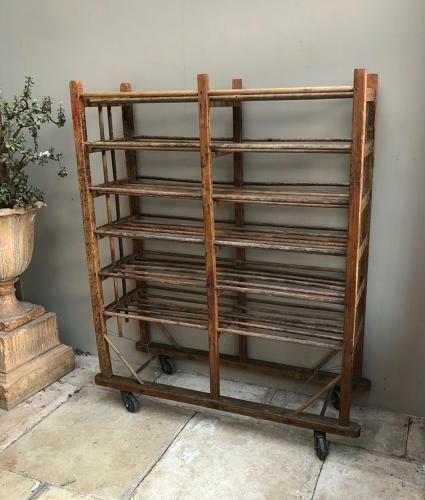 Antique Pine Industrial Shoe Rack on Castors. A great item to have for its original use if you have a large family as it stores shoes wonderfully or it makes a great shelving unit...good for laundry storage as the laundry is aired with the slatted shelves. Six useable levels of shelving. The castors run well and it is easy to move. Good Original Condition with no worm. Has to be collected or sent by courier. UK £45.